At Carefree Yacht Charters, we specialize in arranging extraordinary crewed yacht charters in the BVI, USVI, Bahamas and other Caribbean destinations. What we do At Carefree Yacht Charters®, we specialize in arranging extraordinary crewed yacht charters in the BVI, USVI, Bahamas and other Caribbean destinations. Choose from our various yacht styles, including our popular luxury crewed catamaran charters. The majority of our luxury crewed charters are all inclusive, starting at around $15,000 per week and up to $65,000 per week, plus tip. Learn more about our crewed yacht charter costs. Choose from our extensive lists of yacht options, including our luxury crewed catamarans or our higher-end power catamaran and motor yacht charters. Not sure which yacht style suits you best? Learn more about our yacht options. Our popular favorite due to an array of yacht options, on-board space, & stability. View our full list of catamaran options. Featuring luxurious, modern amenities plus quicker mobility around the islands. View our full list of power catamaran & motor yacht options. Perfect for the traditionalist in search of a more adventurous sailing experience. View our full list of monohulls sailboat options. 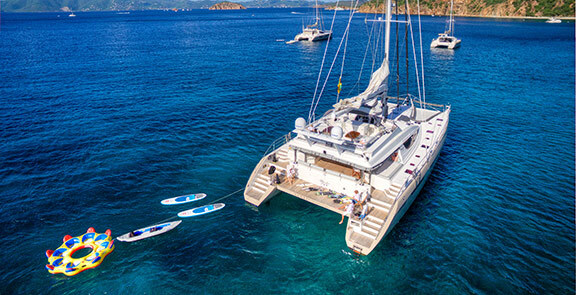 Select from our popular BVI sailing vacations or opt for a US Virgin Island Yacht Charter, which includes a convenient St. Thomas start & end on your BVI/USVI Charter. Learn more about our Charter Areas, including authentic charters in the Grenadines or more remote charters in the Bahamas. Our #1 Destination and a popular pick for families or couples. 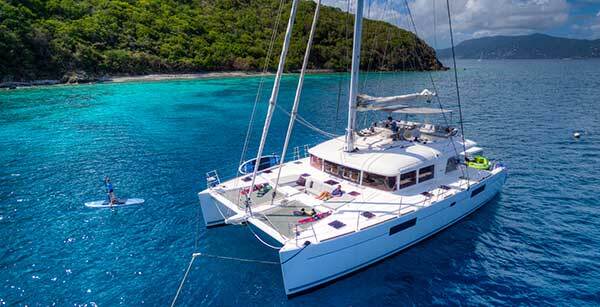 See our recommended BVI Crewed Charters. Featuring an accessible gateway to the BVI plus more affordable flight options. See our featured USVI charter selections. An authentic charter destination, well suited for a summer charter. Learn more about the Grenadines and see our key picks. We offer ideal yacht and crew selections for families, couples or honeymoon and anniversary charters. Learn more about our Charter Types. Our #1 Charter Type with an abundance of family-friendly options. View our featured Family-Friendly picks. We know the best yachts and crews for couples charters. View our featured Couple selections. A luxury crewed yacht charter is an ideal way to celebrate! View our featured Anniversary charter options. Is on-board scuba, a Chef that caters to Foodies, or the ability to accommodate a large group of guests key? Learn more about our Specialty Charters. Count on Carefree Yacht Charters to recommend the best dive yachts and crews for your charter. View our featured dive selections. Culinary trained Chef's and high end cuisine are the key criteria that set our Foodie Charters apart. View our Foodie picks. Perfect for groups of 10 or more with multiple yachts & crews sailing in tandem. Learn more about tandem yacht charters. The charter was amazing. Would totally book them tomorrow. Carefree Yacht Charters provided excellent service to us prior to our charter. They went over and beyond to help us plan the trip of a lifetime. It was our first charter but I cannot imagine a better captain and crew or boat than ours! Thank you for your service to us and for taking the extra steps to make everything perfect. Call us in our South Florida office at 954.980.9281, Toll Free at 888.670.6884, or complete our Quick Request Form. We’ll quickly match you with a charter yacht vacation that fits your group’s interests, style and budget. What we do At Carefree Yacht Charters®, we specialize in arranging extraordinary crewed yacht charters in the BVI as well as other Caribbean destinations. The majority of our fully crewed charters are all inclusive, starting at around $15,000 per week and up to $50,000 per week. Our other category of luxury charters start around $30,000, plus all expenses. Learn more about charter costs. About Carefree We are a top 5 BVI Yacht Charter Company with 40 combined years of experience in the industry. We also owned and operated our own successful crewed charter yacht in the BVI for 12 years. When combined, we are uniquely qualified to expertly handle your vacation of a lifetime. Contact us today and learn more.